A few weeks ago, I was struggling through a very dark internal war of searching for purpose in the world. A dear friend passed this image to me to help me cope with my darkness. Something stirred inside me, and a poem sifted itself out of my brokenness. I realized it was my LIGHT I was more afraid of, not my darkness. 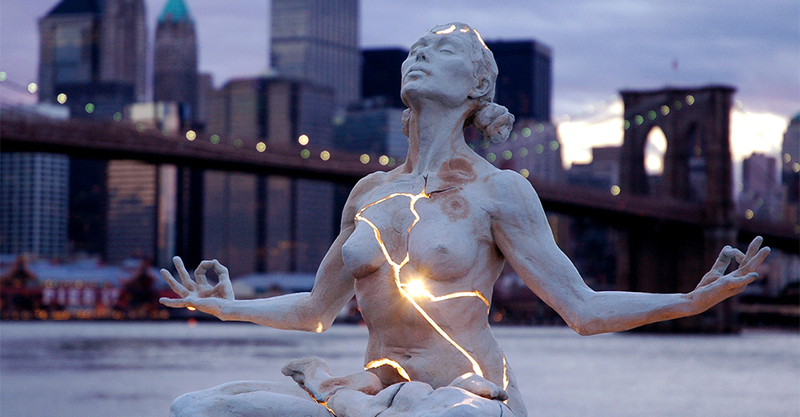 I decided to share it with Paige Bradley, the creator of the “Expansion” sculpture (featured here in Brooklyn), out of gratitude for giving me a guide post out of my despair. She featured it on her blog this morning, as the very first poem to be written about the infamous piece. What an honor! Life is much brighter today, and it feels all too easy to forget dark times exist when you’re basking in the morning glow. Those dark places are truly the most fertile grounds for hope and expansion. After all, not a darker place exists than the moment right before the sun begins to rise.